Season 6 of Game of Thrones is in the making and time is not going by fast enough! 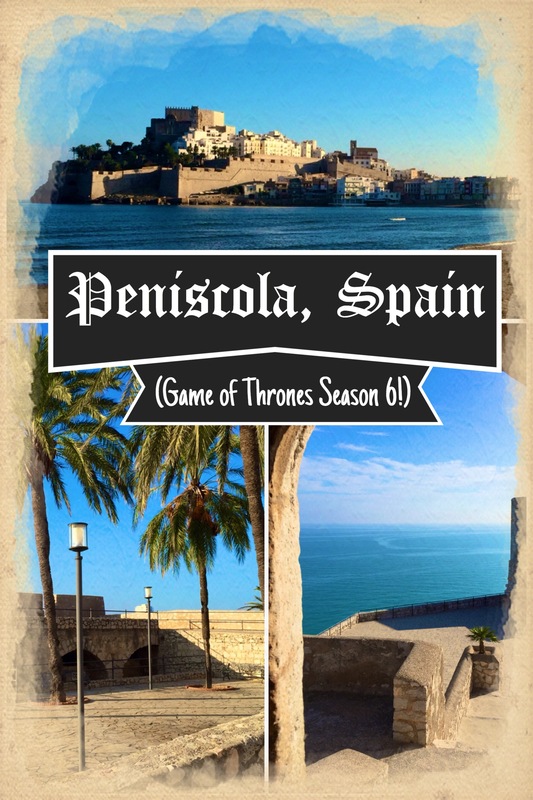 While on a walking tour in Valencia, the guide mentioned that no GoT was filmed in Valencia but instead at Peñíscola. 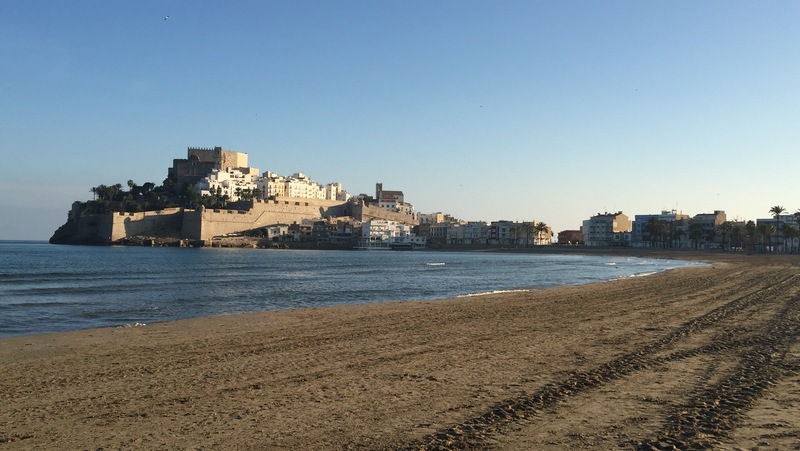 We googled to find out that only a couple of months ago in September, Game of Thrones was filming Season 6 at Peñíscola, a seaside city where many Spaniards choose as their summer homes. 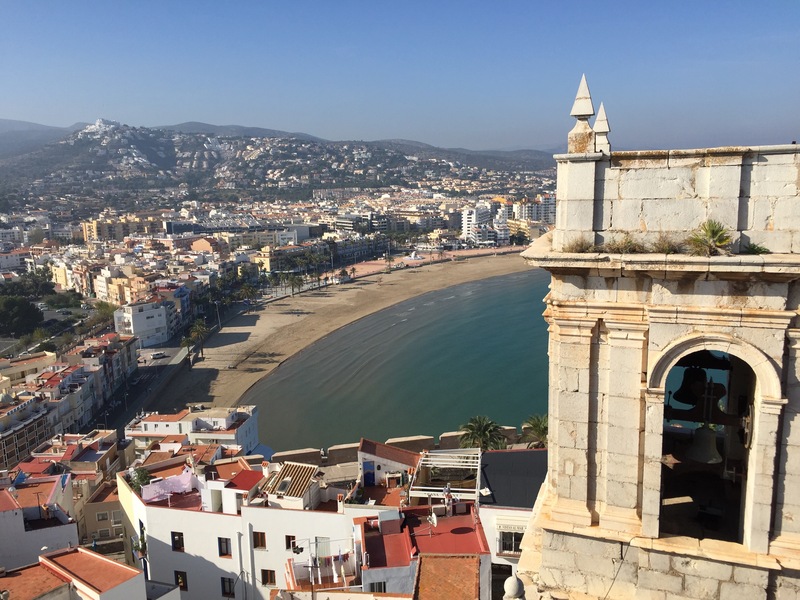 Fortunately, we traveled by car and was heading back to Barcelona through the direction of Peñíscola. Of course, we had to make a stop! 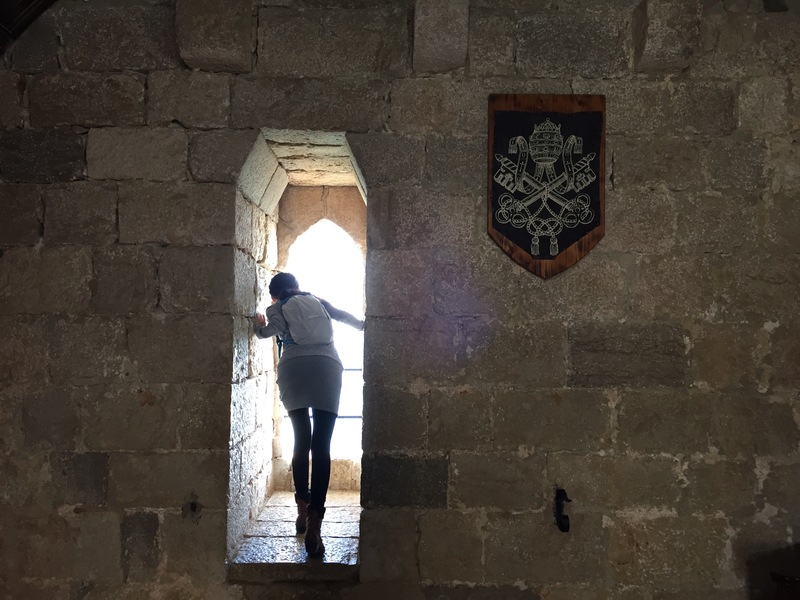 The window from Pope Benedict XIII’s study. The town itself was well built-out, but most buildings and houses were empty with metal blinds down. It’s the typical display similar to other seaside towns along the coast we passed. Only a few restaurants and locals roam about town in November. 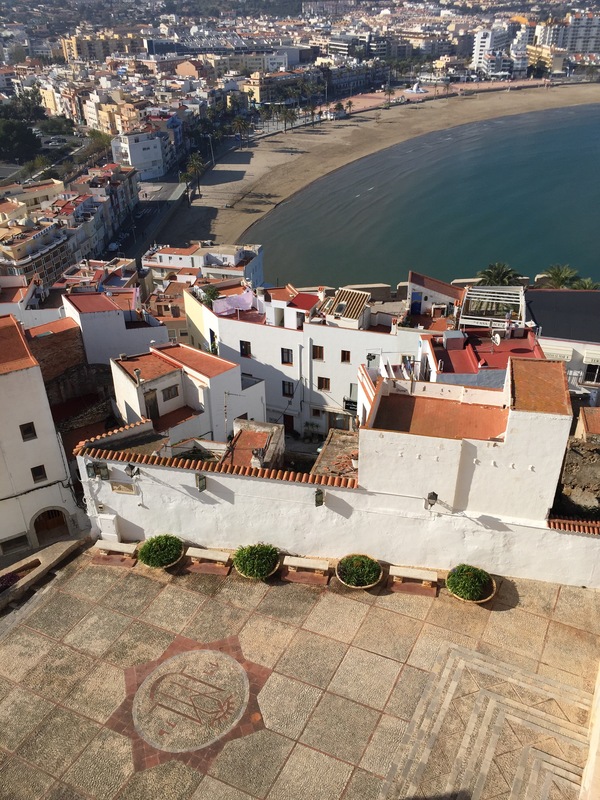 We wandered around town and its narrow streets, wishfully hoping to run into a film crew left behind to wrap things up or better yet, one of the stars. 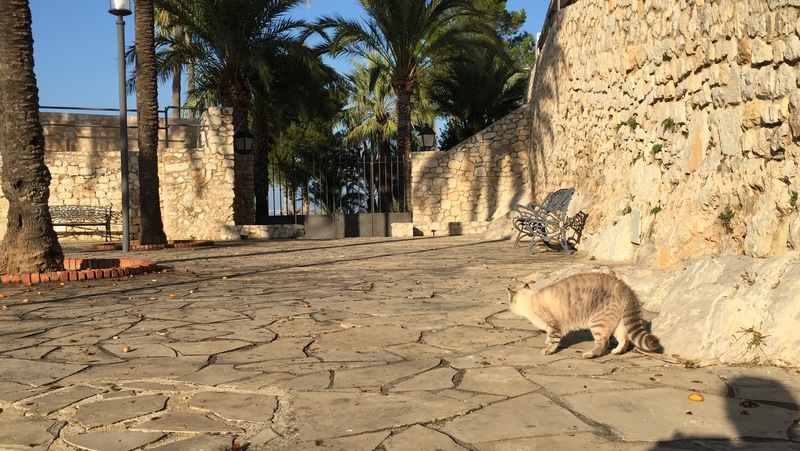 What we found instead was an empty castle (more so than how it was before filming) and gorgeous cats. Without the presence of GoT characters, we assigned scenes in the many chambers ourselves. Many of the buildings also look like they have been repainted recently, Make me wonder if that’s something the production company requested or offered or just a routine maintenance for houses by the seaside? View from above the castle. Based on a fan blog over at Dragons and Direwolves, most scenes were shot at the Artillery Park, and the castle only closed for a couple of days. Counting down till Season 6 premiere. 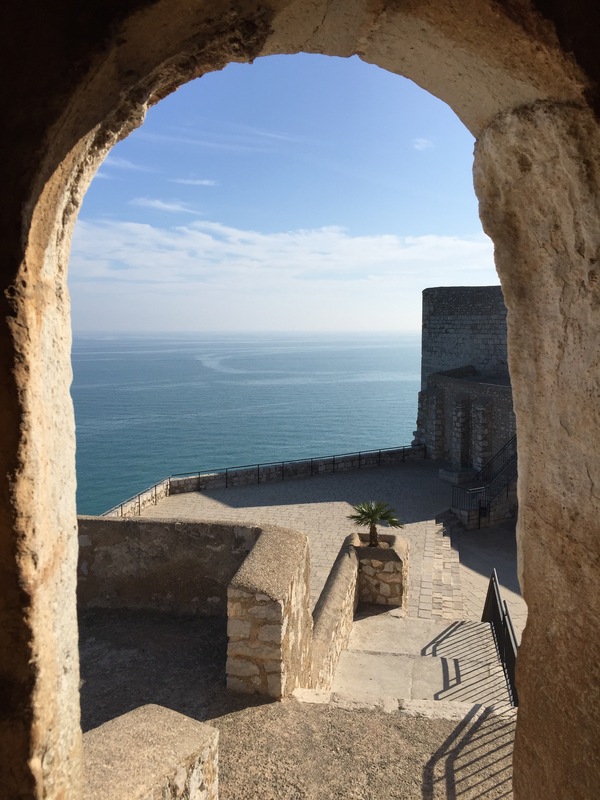 Meereen, how will thy portray Peñíscola?